We’ve separated it into a few sections for readability; Types of UAVs, Components/Systems, Operating Modes and Regulations/Regulatory Bodies. UAV (Unmanned Aerial Vehicle): An aircraft that is piloted by remote control or autonomous onboard computers, without an onboard human presence. This includes HALE, multirotor, and fixed-wing aircrafts. Other names used interchangeably with UAV are RPAS (remotely piloted aerial system) and Drone. HALE (High Altitude Long Endurance)/ HAPS (High Altitude Pseudo-Satellite): An aircraft that flies in high altitudes above weather and commercial air traffic. These aircraft are designed for long flight times, ranging from 3-4 months at a time without landing. Due to their requirement to stay aloft for weeks or months at a time, solar power is essential to recharge the batteries on a daily basis. MULTIROTOR: These are the most popular types of small drones and have 2 or more rotors. The rotors allow it to function like a helicopter. These types of drones have a very smooth and precise flight path, however they have a very high power draw and little surface area for solar cells. As a result, their flight times are typically limited to under an hour. VTOL (Vertical Take-Off And Landing): An aircraft that can take off and land vertically, with the ability to hover mid-flight. These types of UAVs are most commonly multirotors. Some newer VTOLs are hybrid multirotor/fixed wing aircraft that can take off and land vertically using multiple rotors but then transition to horizontal flight using wings and a propeller. UAS (Unmanned Aircraft System): Everything involved in making an unmanned aircraft operate. This includes the UAV, the person or system controlling it, and a means of communications between the two. LI-PO (Lithium Polymer): A type of battery that gets its power from a lithium polymer reaction. These batteries are the most common rechargeable batteries for drones because of their low weight and high energy density. PYLD (Payload): The weight that the UAV is carrying (ex. camera, communications, engine). Using solar to help power your aircraft can result in a smaller and lighter battery, which would allow for other payload additions. AUTOPILOT: A system that can control the flight of an aircraft without the need for a human operator. VLOS (Visual Line Of Sight): When the pilot can see a UAV from the ground with their naked eye. This means it can’t be flown through fog/clouds or behind trees or buildings. BVLOS or BLOS (Beyond Visual Line of Sight): This type of flying allows pilots to fly aircrafts farther than they can see. Presently, only operators who have been granted a waiver under FAA Part 107 may fly BVLOS during commercial operations. ISR (Intelligence, Surveillance, And Reconnaissance): Using drones (typically in a military or border patrol setting) to survey and gather information. Using solar for this application can allow these drones to fly further and for longer periods of time, extending missions and gathering more information without having to land and recharge. FAA (Federal Aviation Administration): A US authority that creates rules for aircrafts, such as how far you can fly, where you can fly, and what qualifications you need to pilot an aircraft. FAA Part 107: A recent rule released for non-hobbyist small unmanned aircraft (UAS) operations weighing less than 55 pounds. It includes training requirements for remote pilots, operating rules and details on applying for a waiver. UTM: A UAS Traffic Management System being researched, developed and tested by federal agencies and industry to enable safe, efficient low altitude operations. UAWG (Upper Airspace Working Group): A working group within the AIA (Aerospace Industries Association) which includes industry and regulatory participants working to define a concept of operations for aircraft flying in high altitudes (above commercial air traffic). 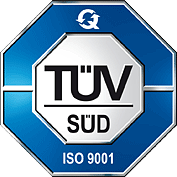 Alta Devices is a founding member of the UAWG.